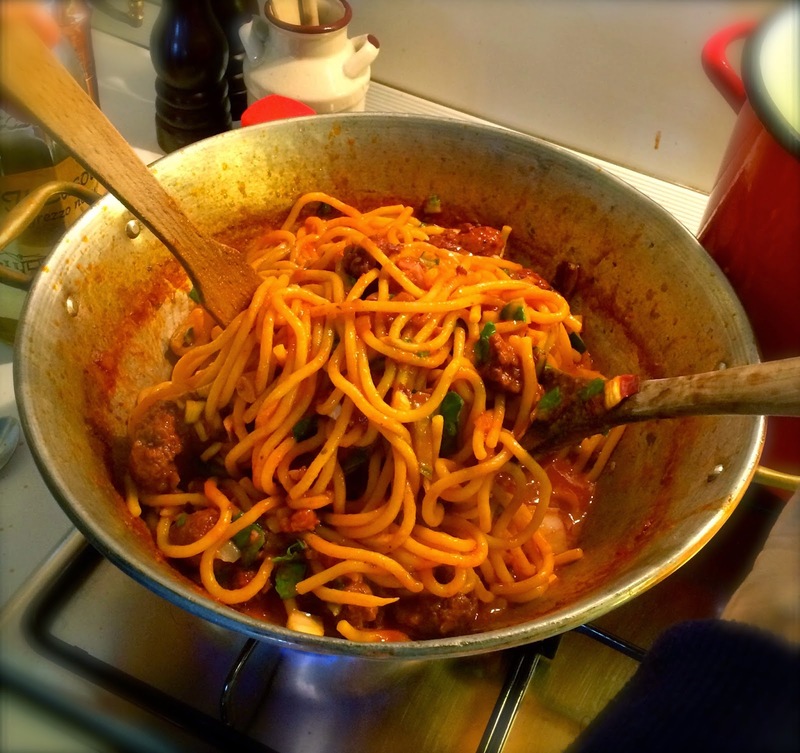 Bigoli - The Bigoli is a long, fat pasta (solid in the middle), like a big spaghetti of Venetian origin. It is spread throughout the region and is also found in East Lombardy. 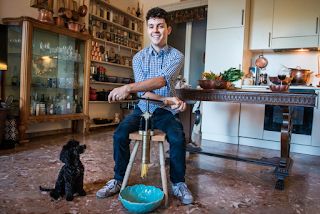 The recipe for bigoli is traditionally prepared with wheat flour, water, and salt. Italian's describe the main feature of this pasta as, "Pasta Forte" which refers to it's "roughness" that allows it to hold sauces. Bigoli has a peculiar and time consuming method of preparation. 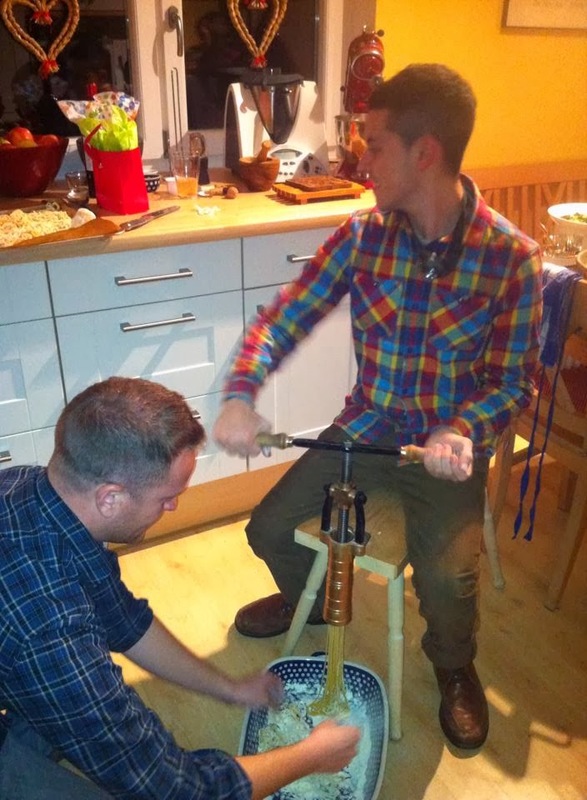 The traditional pasta press is a hand operated die press, with two handles that screw down, compressing the dough through the holes at the bottom (this is attached to a small bench). The cylinder is loaded with dough and screwed down, the pasta comes out the bottom giving you roughly one portion per cylinder. There are different recipe variations of bigoli that are obtained by varying the type of flour used. Saracen flour is black and is used to make darker (brown) bigoli. Some recipes also call for duck eggs to be used instead of water. 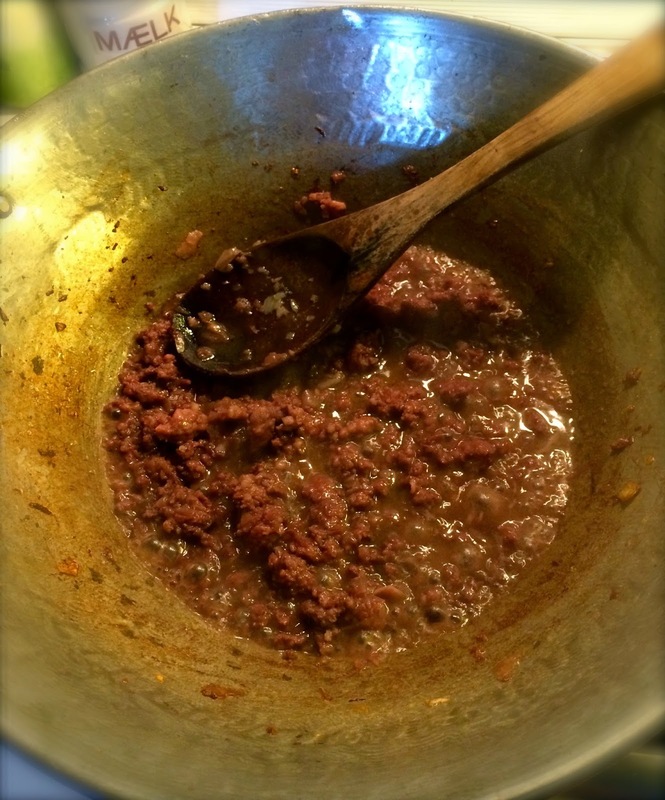 There are so many traditional sauces with bigoli, however, the most common is from the mountainous areas of Veneto, "Bigoli All'Anatra" - bigoli with duck sauce. 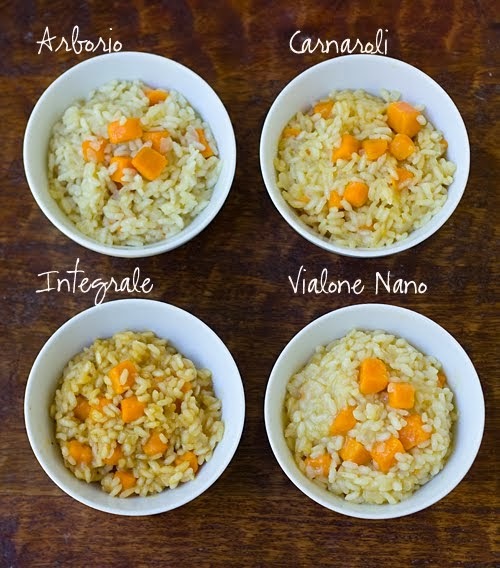 Other common recipes are: Bigoli al Baccala - from Vicenza; or Bigoli con Sardele - from Venice. Every year, on the last week of April, the so-called "party of the bigoi Torcio" is held in Limena (Padova province). 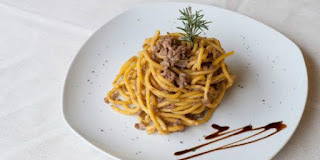 Every Saturday and Sunday in May is "The Feast of Bigoli in Rovolon" (also in Padova) in the vicinity of Carbonara. There is another festival held in May on the third weekend, also held in Abano Terme in Monterosso. In a bowl mix the flour and eggs with a fork until it has formed clumps in the flour. Switch to using your hand(s) and mix rigorously. When the dough has become one large ball, move to tabletop (preferably a wood surface) and continue to work and mix the dough with your hands just like any other pasta dough. Bigoli is traditionally made using a torchio, make sure you load your pasta with it floured into the cylinder. Begin to twist and cut twice for one cylinder load of dough. flour liberally and ensure the pasta is not sticking while coming out. 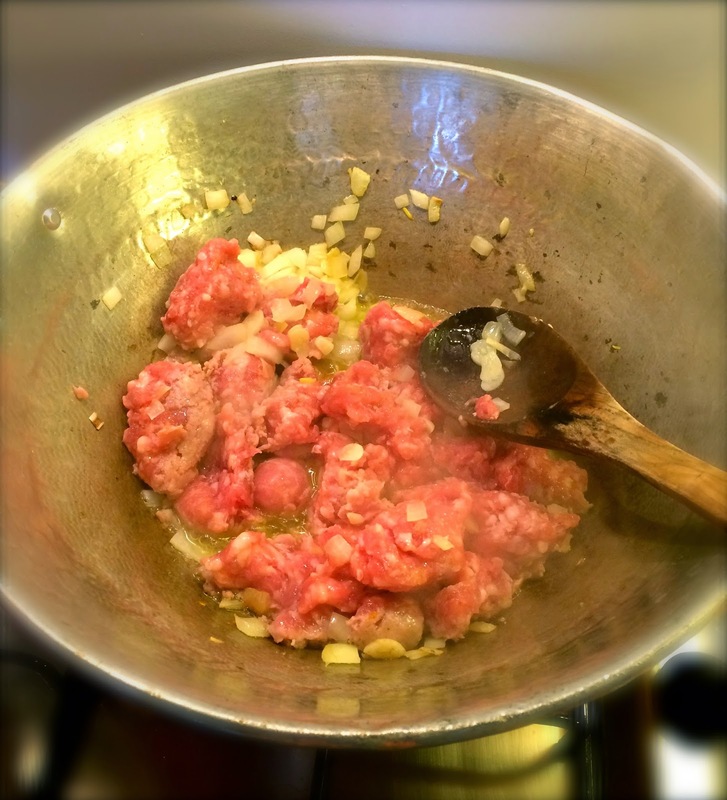 In a pan containing some butter, brown the onions, garlic and carrot, add the duck meat. Mix thoroughly. Add the herbs, the bay leaves and finally the cream. In the meantime, cook the pasta in abundant boiling and salted water.